We ended the year with Katya Cengel‘s “Bluegrass Baseball: A Year in the Minor League Life”. Following four Minor League baseball teams in Kentucky through the 2010 season—the triumphs, struggles, and big league hopes and dreams—the book tells the larger story of baseball in America’s smaller venues, where the game in its purest form is still valued and warmly embraced. The author has graciously agreed to participate in our discussion, and below is a list of questions for her. Feel free to jump in at any point! Leave your comments below. 1. What were some of the behind the scenes things that surprised you about life in the minors? 2. Did any of the players you followed make it big? 3. How does minor league baseball differ from the majors? 4. What is life like for the families of the players? 5. What inspired you to write about minor league baseball? Thank you all for participating in our SLO NightReaders Online Book Club! We hope you enjoyed our 2014 selection and wish you lots of great reads in 2015! For December, we selected Katya Cengel‘s “Bluegrass Baseball: A Year in the Minor League Life”. Following four Minor League baseball teams in Kentucky through the 2010 season—the triumphs, struggles, and big league hopes and dreams—the book tells the larger story of baseball in America’s smaller venues, where the game in its purest form is still valued and warmly embraced. The story begins before the season with national-anthem singing tryouts in Lexington, then tags along with players, staffs, and fans at home, in the office, and on the field, offering a rare glimpse of the unglamorous reality of Minor League ball. From the front-office staff in Bowling Green planning kooky promotions, to a trainer grocery shopping for a team on forty dollars a day, to a new wife coming to terms with her husband’s transitory lifestyle, to a father struggling to make it back to the Majors and a Cuban defector blowing everyone away with a 100-mph-plus fastball these are the people who live to make baseball happen, in all its nitty-gritty glory. Katya Cengel lives in California Central Coast and was a presenter at the 2013 Central Coast Writers Conference. She has written about everything from retired dancing bears in Bulgaria to the world’s largest machine gun shoot in Kentucky. Her work has appeared in Newsweek, National Geographic and Time.com among other publications. A World Affairs Journalism Fellow in 2005, she received second place in the Society of Professional Journalists Green Eyeshade Award in 2006 for her series “Lost Boys, Torn Families”. Her book “Bluegrass Baseball: A Year in the Minor League Life” (University of Nebraska Press), was one of five finalists for the 2013 Kentucky Literary Award. The Pope Goes Speed Dating is a contemporary romantic comedy set in Australia that explores how the life of a young woman is turned on its head by an unexpected inheritance of a lifelong endowment and a mansion on Bondi Beach—all she has to do is permanently engage the services of her late grandfather’s English butler. 1. Imagine yourself in Summer Pennington’s shoes – would you consider it a dream come true, or a nightmare? 2. Which one of the romances in the book was your favorite? 3. Did you enjoy the Australian setting? Did the author do a good job of transporting you to “the land down under”? 4. Which character did you like the best and why? 5. If you could ask the author a question, what wold it be? Thank you for reading and don’t forget to check back tomorrow for our December book announcement! 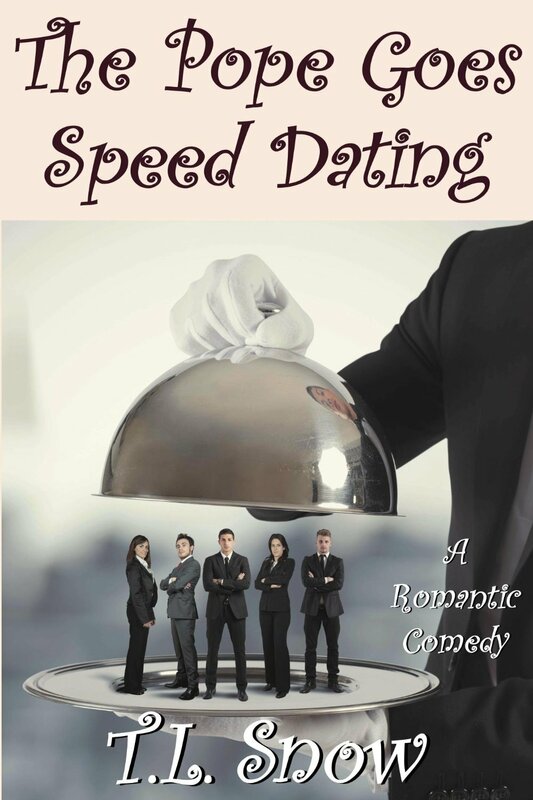 In November we are offering you romance, suspense and humor all in one! The Pope Goes Speed Dating,written by Tom L. Snow, is a contemporary romantic comedy set in Australia that explores how the life of a young woman is turned on its head by an unexpected inheritance of a lifelong endowment and a mansion on Bondi Beach—all she has to do is permanently engage the services of her late grandfather’s English butler. The novel is a humorous, yet poignant, romp through the triumphs and mishaps of Summer Pennington and her close-knit group of friends whose lives are deeply affected by the arrival of this uniquely talented, witty and principled butler. He too undergoes a metamorphosis from being influenced by the snobbery of England’s upper class to discovering the more casual and parochial charms of Australia. While the book’s primary theme focuses on the vagaries of love, its plot unfolds amidst more sinister emotions—jealousy, prejudice, violence, revenge and a dark secret that roils within the mind of this mysterious interloper. The backdrop for this ‘rags-to-riches’ tale is the natural splendor of Australia’s landscapes, its unique flora and fauna, the quaint charms and customs of its people and their distinctive language and humor. After residing in Sydney for twenty-two years, Tom Snow recently moved back to his native U.S. and is now enjoying life on California’s Central Coast with his Australian wife and daughter. He is currently on the board of SLO NightWriters, where he is serving as the contest director of the 25th annual Golden Quill Awards. As well as working on his next novel, Tom volunteers his time teaching bridge and participating in various organizations within the community coaching fledgling authors on publishing, critiquing and developing their creative skills. 1. Which characters did you think committed the crime? Did you guess the culprit before the end? 2. 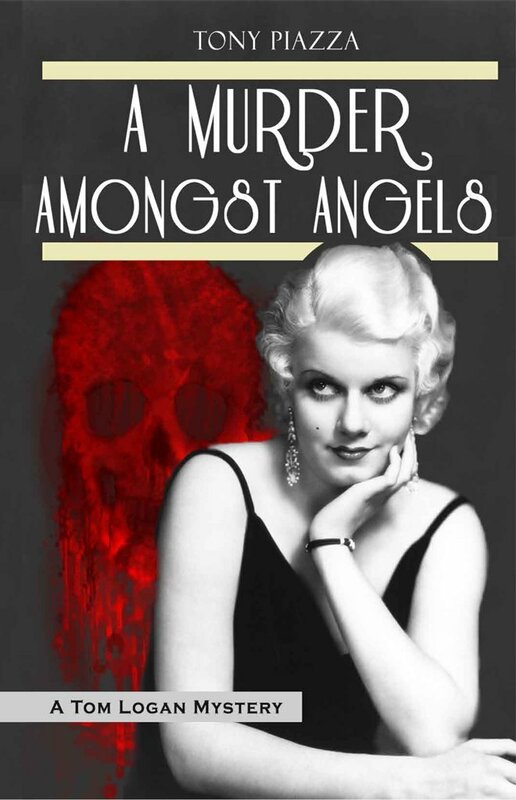 The story takes place in 1931 in Los Angeles. Did the author do a good job of transporting you into that period? 3. How did the time period influence the characters’ actions and beliefs? 4. Besides the main character, what stood out in the story for you? The descriptions? The secondary characters? The dialogue? 5. If you could ask the author a question, what would it be? Thank you for reading and don’t forget to check back tomorrow for our November read announcement! A seventeen-year-old girl stands on an auction block, about to be sold to her fifteenth house. She is an orphan, a slave. But she’s also something more. When her long, white hair is revealed to the crowd, so is her true nature as an Elemental, as a girl with powerful storm-summoning abilities. She can control the weather with her emotions, but for her entire life that has meant that her anger has led to danger and destruction. When she cannot leash her tumult on the inside, the outside world suffers. Her ability is a curse – and now also a weapon. In September we read a young adult fantasy book written by Mary Weber. What did you think? Let us know in the comment section! If you need help to get started, see our discussion questions below. 1. What did you enjoy the most – the characters, the plot, the magical world in which the story took place, the romance or the political intrigue? 2. Which character was your favorite? Why? Which one was your least favorite? Why? 3. Did you feel instantly transported to the world Mary built or did you find it confusing? 4. What did you think about the language, slang and made-up words? If you have any questions for Mary Weber, please write them into the comment section below and we will ask her to answer them for you! Thank you for reading and don’t forget to check back tomorrow for our October read announcement! Dark forces, kingdoms at war, allies and traitors, flesh eating horses, storm-summoning abilities, love story, and messages of hope, grace and mercy – in September we invite you to visit the fantasy world created by Mary Weber in Storm Siren. In a world at war, a slave girl’s lethal curse could become one kingdom’s weapon of salvation. If the curse – and the girl – can be controlled. As a slave in the war-weary kingdom of Faelen, seventeen-year-old Nym isn’t merely devoid of rights, her Elemental kind are only born male and always killed at birth – meaning, she shouldn’t even exist. Standing on the auction block beneath smoke-drenched mountains, Nym faces her fifteenth sell. But when her hood is removed and her storm-summoning killing curse revealed, Nym is snatched up by a court advisor and given a choice: be trained as the weapon Faelen needs to win the war, or be killed. Choosing the former, Nym is unleashed into a world of politics, bizarre parties, and rumors of an evil more sinister than she’s being prepared to fight…not to mention the handsome trainer whose dark secrets lie behind a mysterious ability to calm every lightning strike she summons. But what if she doesn’t want to be the weapon they’ve all been waiting for? Set in a beautifully eclectic world of suspicion, super abilities, and monsters, Storm Siren is a story of power. And whoever controls that power will win. Mary Weber is a ridiculously uncoordinated girl plotting to take over make-believe worlds through books, handstands, and imaginary throwing knives. In her spare time, she feeds unicorns, sings 80s hairband songs to her three muggle children, and ogles her husband who looks strikingly like Wolverine. They live in California, which is perfect for stalking LA bands, Joss Whedon, and the ocean. In August we read a mystery novel by Susan Tuttle. Sabrina Compton’s life was almost perfect with her adored husband—until the day she returns from shopping to find him brutally slaughtered. Her whole identity is shattered, and the blows keep coming in the guise of an FBI agent who destroys the memories that were all she had to hold onto. The story moves from Buffalo, New York to a barrier island off the coast of South Carolina, where a deadly confrontation threatens her life. Will she find the inner strength to survive, or will the sins of her husband’s past destroy her, too? Here are some questions for you, NightReaders! 1. The main character, Sabrina, learns that everything she knew about her husband was a lie. How would you feel if you discovered that the person you thought you knew the best was not that person at all? 2. Do you think Charlie loved Sabrina? Do you think his new life was a reflection of the new, better person he had become? How much can a person change? 3. Which character was your favorite? Why? 4. What was the biggest surprise or plot twist for you? 5. If you could ask Susan a question, what would it be? Go ahead, she might answer it for you! THE FIRST ONE TO COMMENT WILL WIN A BOOK BY SLO NIGHTWRITER EVELYN COLE! Thank you for reading and don’t forget to check back tomorrow for the September book reveal! Sabrina Compton’s sheltered life is shattered when her beloved husband is brutally slaughtered. And though their home has been ransacked, nothing appears to be missing. Unable to face the memories the house holds, Sabrina flees to her great-grandmother’s cottage on Gaffe Island, off the coast of South Carolina. But the peace she tries to recover there is crushed by the revelations of an intrusive FBI agent, and her life is forever altered by the weight of her husband’s devastating betrayal. As a hurricane bears down on Gaffe Island, she discovers her husband’s killer is now after her. Will Sabrina survive both the storm and the killer’s rage? Will the presence of the F.B.I. agent be enough to protect her? Or are the sins of the past destined to destroy her, too? 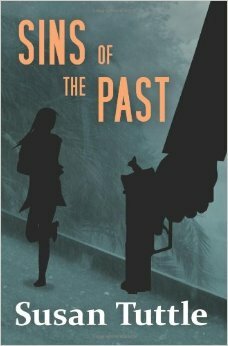 In August, we are proud to present Sins of the Past by a NightWriter Susan Tuttle. Susan was elected president of NightWriters in June of 2007. She has also served as vice president and president of the Central Coast Chapter of Sisters in Crime (SinC), and is now newsletter editor of both organizations. She will be presenting at the 30th Central Coast Writers Conference at Cuesta College in San Luis Obispo this September. Susan is a novelist and freelance editor of fiction and creative nonfiction. She is the author of five suspense novels and has worked with authors from California to New York. A personal writing coach, she also teaches writing workshops based on her Write It Right workbook series. Susan offers writing prompts at www.SusanTuttleWrites.com.